5:22 De Maxx - Long Player 38 [The Funky Edition] 541 / N.E.W.S. Tellement d'influences réunies sur ce titre. J'adore ! 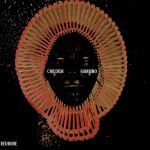 Another amazing '70s inspired track from Childish Gambino! Die legitimen Nachfolger des im April Verstorbenen, oder? One of my favourite songs of 2016. Also a massive success on the Triple J hottest 100. Love the 70's vibe! One of those songs that seems just too good to believe it was a hit, even doing so despite being heavily ignored by radio & Spotify. I just can't believe Gambino had something like this in him. There's so much to love in this groove-laden funk, one of those songs that just feels good from start to finish. ▒ Een beroerd gezongen slome plaat met een piepstem uit half november 2016 door de 33 jarige Amerikaanse comediant, zanger, songschrijver, rapper en producer: "Donald McKinley Glover", alias: "Childish Gambino" ☺!!! Awesome track!<br>Great to see it do so well in the Hottest 100! This is huge, very enticing track. Das basiert doch auf "I'd Rather Be With You" von Bootsy Collins. Erreicht die Vorlage natürlich nicht ganz.<br><br>Pop #14 und R&B #2 in den USA. Springt eruit in positieve zin. Probly his best and more familiar track released to date. Ziemlich cooler Oldschool-Sound, der nur etwas abwechslungsreicher und mit mehr Tempowechseln daherkommen könnte angesichts seiner recht sportlichen Länge.<br><br>Ordentliche 4, sicher einen Hördurchgang wert.